One thing you can be sure of, at Rumors Hotel you’ll feel like family. 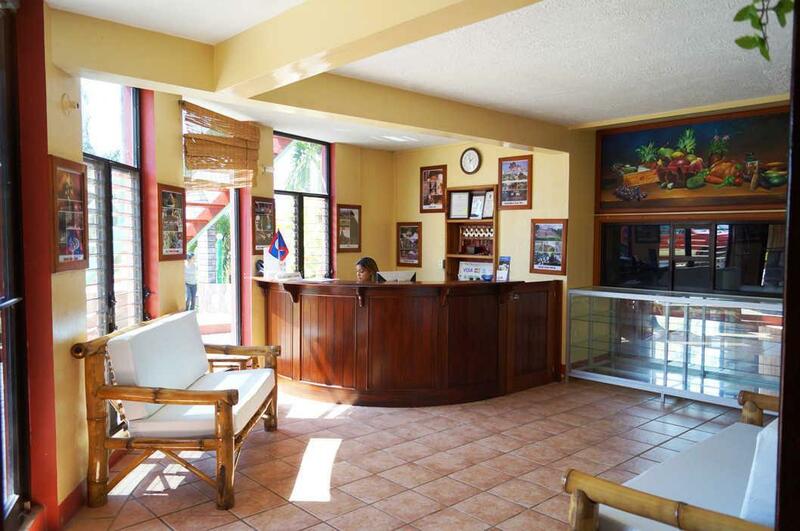 A family-friendly ambient catering to Belizeans & International Visitors who seek a tranquil adventure outpost while keeping well within easy access to San Ignacio Town’s conveniences. We’re your ideal outpost from which to experience the best of Belize’s cultural, historical and eco-adventure attractions. 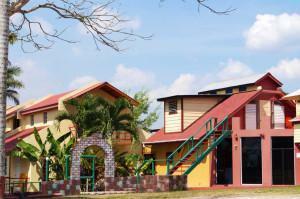 Mr. Hector Montero, proprietor of Rumors Resort Hotel is a professional building contractor. His projects can be traced along all corners of this country, even off the mainland. His career development led him to study and work abroad in the USA for some time in the mid 1980’s. As a recreational activity there, he would frequent a particular bar lounge/ pub there by the name of “Rumors” in Winter Haven Florida. In the summer of 1995, he set off to layout the foundations of what would open its doors to the public in 1998 as Rumors restaurant and bar. The facility was built on the same premises as his residence and the place he grew up in. The name evidently reflecting that of his favorite recreational spot in his earlier days. Rumors Restaurant and Bar was born as a result of a joint venture plan between Mr. Hector and his youngest brother who would manage the facility while he maintained focus on his construction projects. The partnership thrived for a couple of years until it broke off in 2000. Thereafter, the business remained in the full care of Mr. Hector and his sons. You’ll know you’ve made the right choice once you come over the bend and see Rumors Hotel’s charming facade. Weighing out his priorities and deciding to follow his true passion, Mr. Hector decided to put the restaurant & bar on the market for sale or lease. Idling on the back burner, the establishment occasionally took on a function as a banquet facility. It hosted all sorts of celebrations from Christenings, proms, wedding receptions, birthday parties, anniversaries to pageants and conventions. These occasional events would sustain the facility financially while it underwent continuous and gradual expansion. Mr. Hector’s idea was to add value to the venue in order to sell at a higher price some day. Hence, the addition of its first 4 accommodations came through. Rumors consequently commenced operation as a motel, offering accommodations to local walk-ins & passersby. Mr. Hector’s outstanding skills and craftsmanship in the construction field took on full swing and became evident in his ever-developing masterpiece. He gradually laid out each piece of it as envisioned right off his mind and with the help of his sons. Although several persons showed interest on various separate occasions, none committed fully to meet the requested price. Time passed and the venue continued its expansion while operating at very minimal overhead costs. It wasn’t until after the summer of 2010 when Mr. Hector’s youngest son, Francisco, returned home after having worked sometime in the architectural and land planning field in Belmopan, that the business became fully operational. Francisco opened the business as a fully operational hotel in October 1st of 2011. Under his management, Rumors took on a very gradual but firm bearing forward in the direction (as he had always aimed for) towards someday becoming a Resort facility in Belize’s Tourism Industry. His background in architecture certainly came in handy as he continually worked to upgrade and redesign the rooms and restaurant facilities to better accommodate his target market – tourists. The first year was an automatic success, guests loved the venue and the service offered! Rumors Hotel has been upgrading its facilities ever since and is currently still undergoing expansion to raise its quality of product and services as well as to introduce newer amenities to elevate the product to a Resort status. The most recent upgrade includes a beautiful Salt water infinity edge swimming pool (completed in November of 2015) which is the highlight and attraction of this hotel. 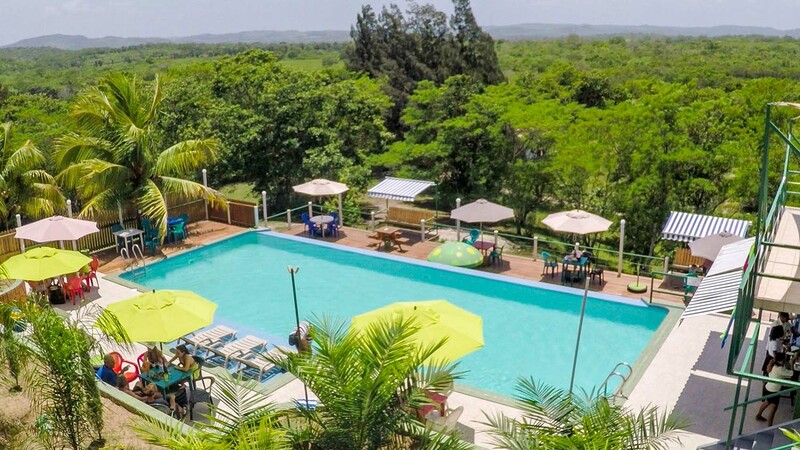 Out of demand, Francisco was lead to launch his own tour company, GoMaya Belize Adventures – a sister company of Rumors Resort conducting all inland tours and transfers for the hotel’s guests and offering an all-inclusive experience to travelers visiting the San Ignacio area. We welcome you to come experience this wonderful place as you join in our family atmosphere. What sets us apart from the rest is our personal attention to each and every guest in making them feel extra special and welcomed. Don’t sacrifice sleep quality for closeness to town and don’t trap yourself in a jungle to get some rest. At Rumors Resort, we offer that perfect notch between both extremes. We look forward to hosting you soon! Salt Water Infinity Edge Eco-Swimming pool – A highlight and attraction for families and couples alike.